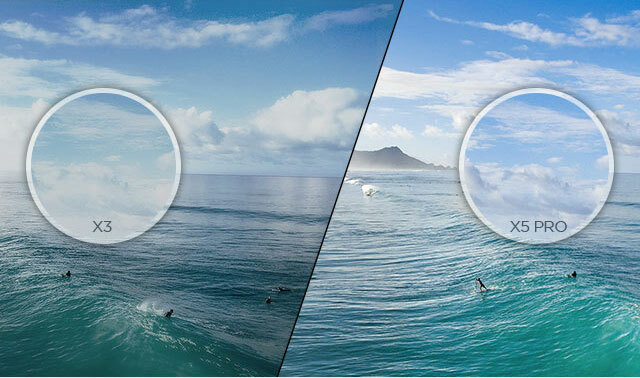 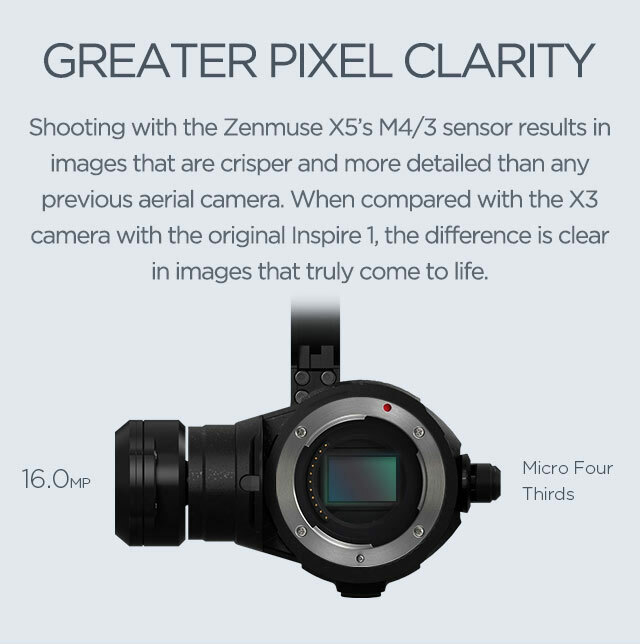 The biggest difference between them is in video recording capabilities, storage media, and workflow. 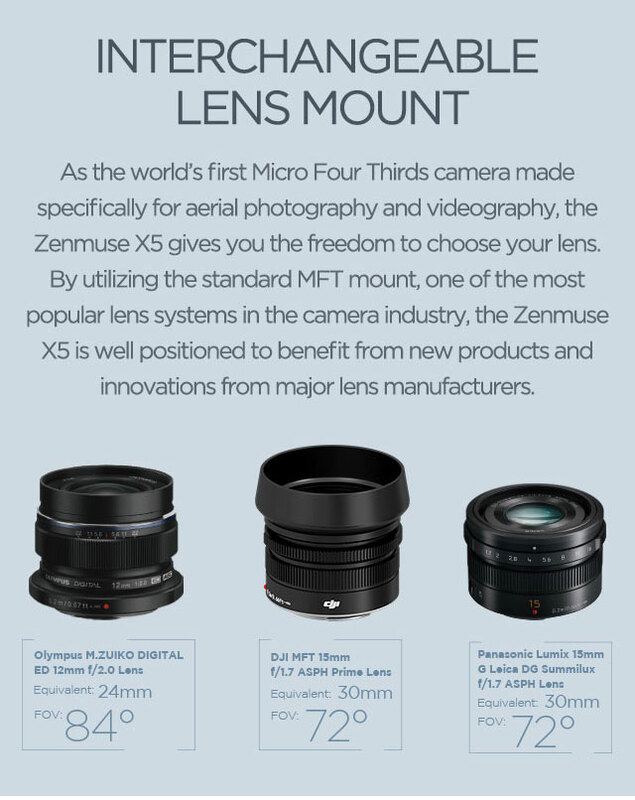 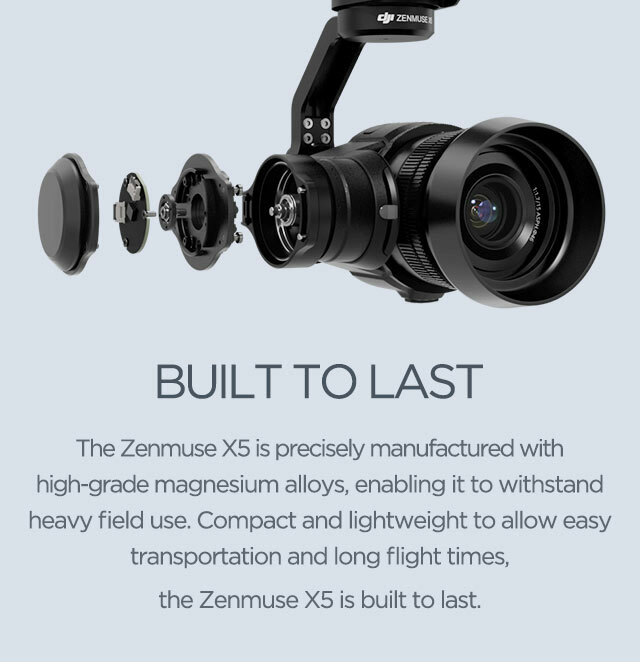 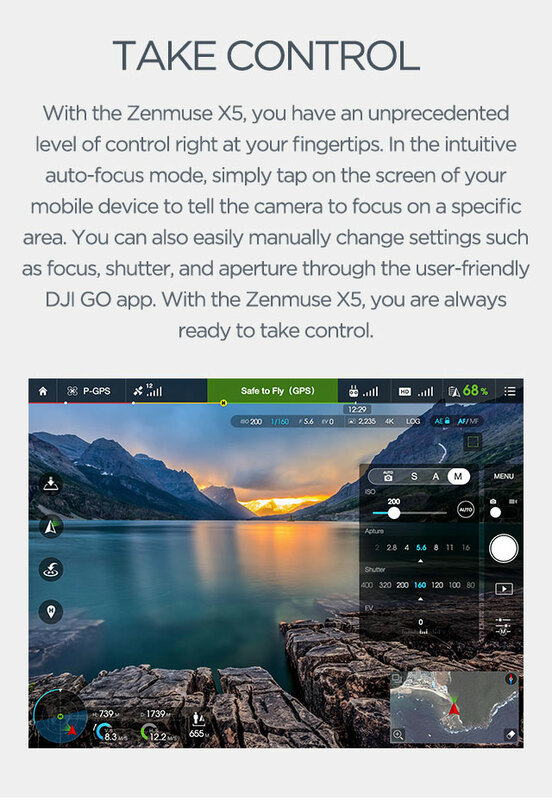 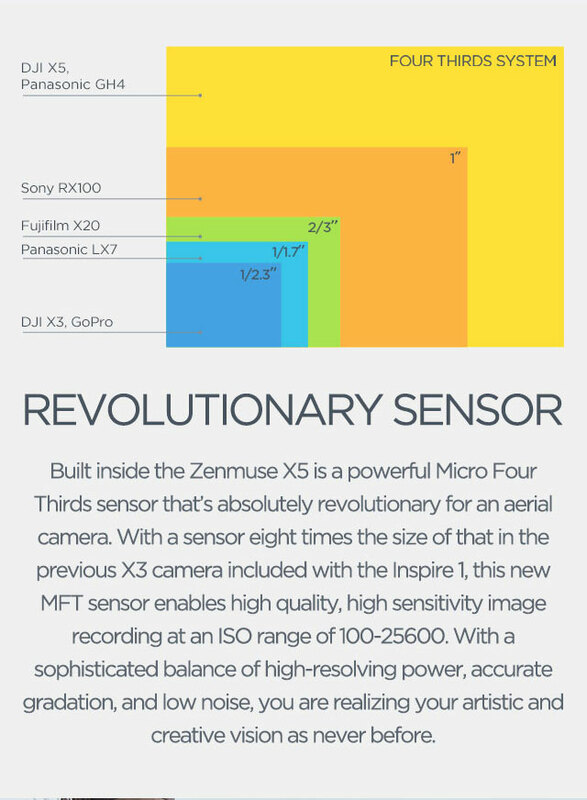 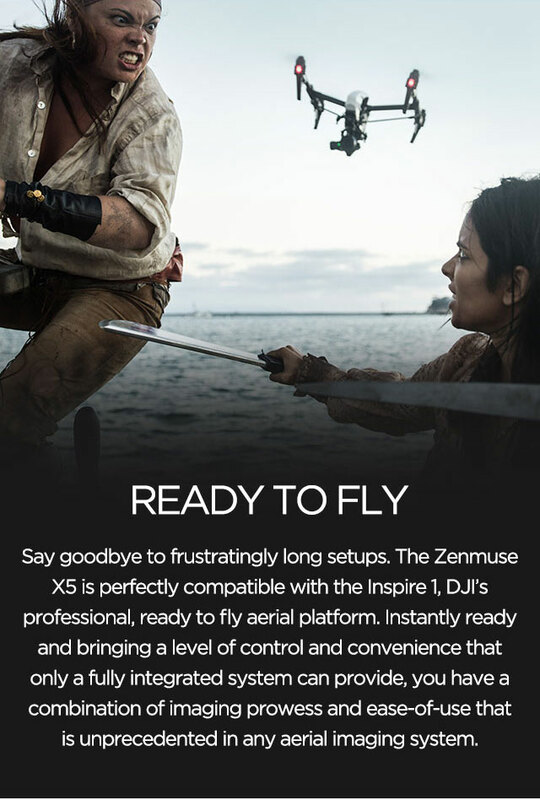 The ZENMUSE X5R shoots video in lossless format to preserve maximum detail and enable precise editing and post-processing. 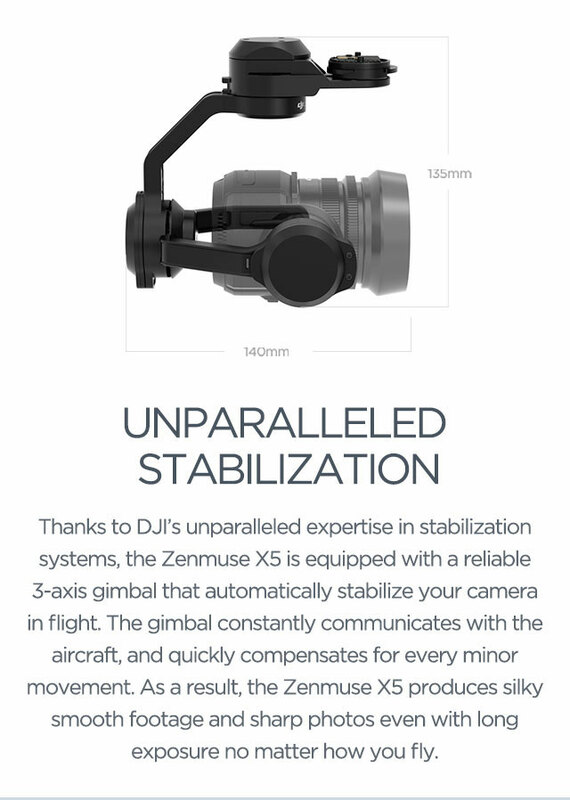 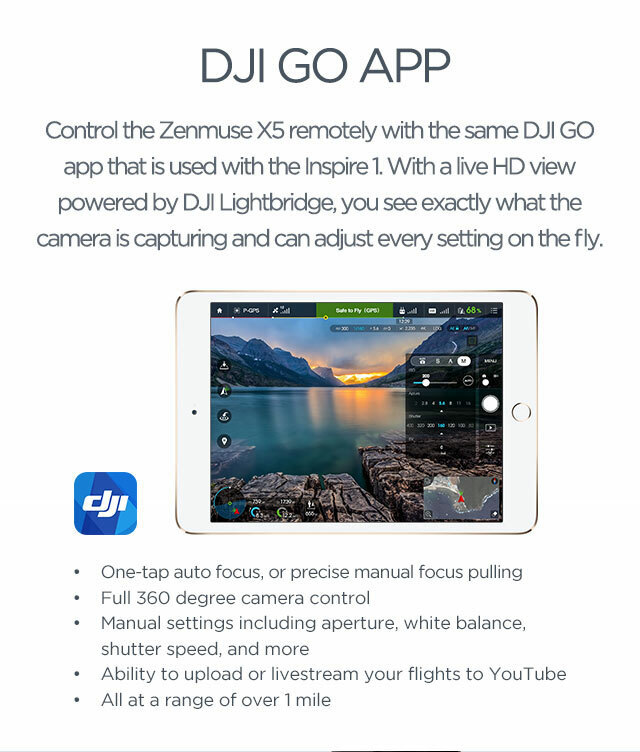 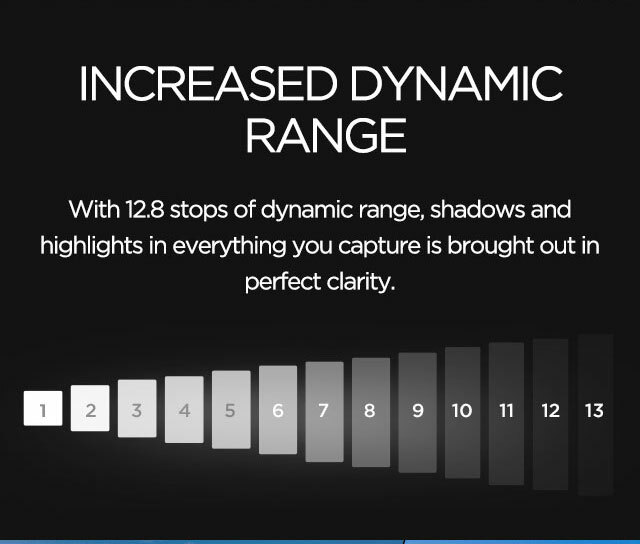 Introducing the new DJI Inspire 1 Raw Dual Remote is the world's first aerial camera with a micro four thirds (M4/3) sensor designed for the inspire 1. 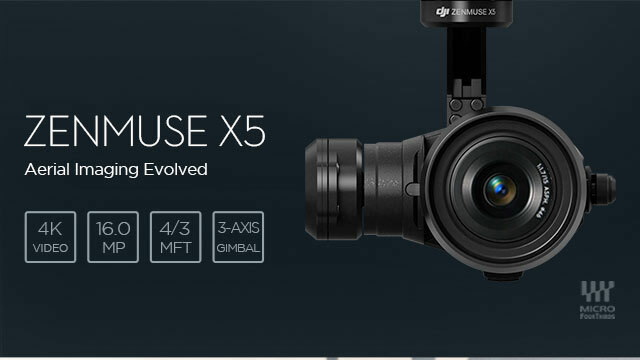 Supporting 4 interchangeable lens (DJI MFT 15mm f/1.7 ASPH lens, Panasonic Lumix 15mm G Leica DG Summilux f/1.7 ASPH lens, Olympus M.ZUIKO DIGITAL ED 12mm f/2.0 lens, and Olympus M.Zuiko 17mm f/1.8 lens with more to be supported) with access to adjust focus and aperture via the GO app, you now have the power to create aerial magic. 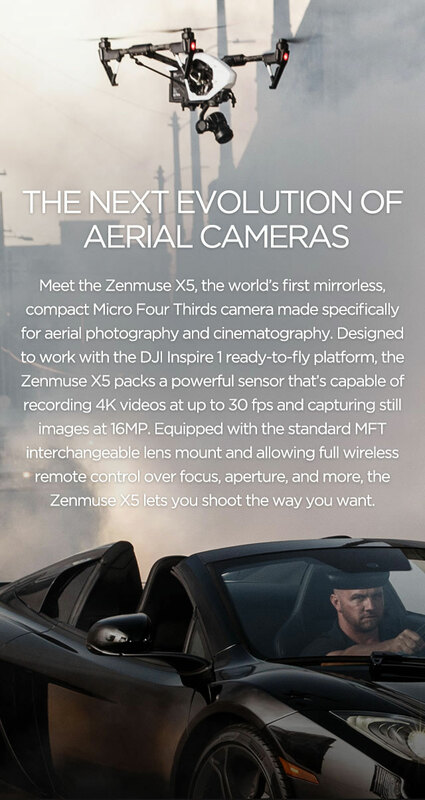 The X5 RAW includes a removable 512GB SSD with a microSD card slot for you to record in CinemaDNG in lossless 4K.